Through the looking glass: Social media may not be corrupting today’s youth as much as some of us would like to believe… at least, according to teens themselves. 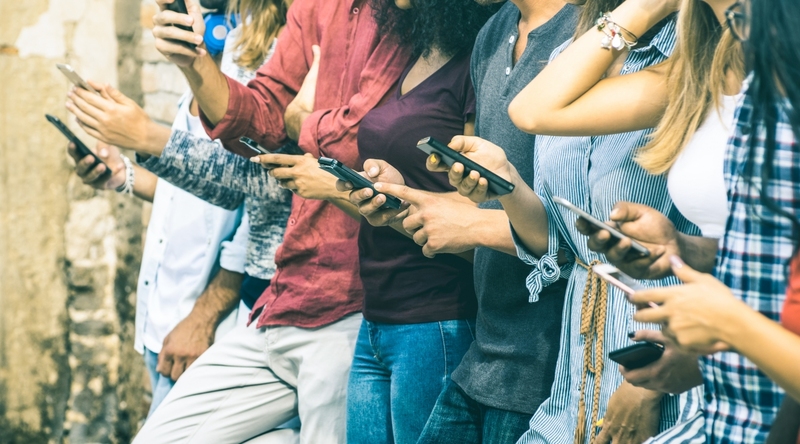 In a recent survey of US teens ages 13 to 17, Pew Research Center identified several positive outcomes that teens associate with social media use. For example, 81 percent of teens said social media makes them feel more connected to their friends and 69 percent believe it helps teens interact with a more diverse group of people. Similarly, 68 percent said social media makes them feel as if they have people who support them through tough times. Teens also overwhelmingly said social media makes them feel included, confident, authentic and outgoing versus excluded, insecure, fake and reserved. Conversely, the percentage of teens that see the negatives in social media is substantially less. According to the survey, only 45 percent of teens said they feel overwhelmed by the drama on social media. As for content, 43 percent said they feel pressure to only post stuff that reflects them in a positive light while 37 percent said they feel pressure to post content that will generate a lot of likes and comments. It's interesting to get teens' takes on social media as it's all they've grown up with. Some of us who are a bit older and were around before social media may have vastly different opinions on the phenomenon and its impact on society.